Storebook brings the nearby Merchants and Customers closer as acommunity and upgrades your shopping experience. Download the apptoday and start supporting the local business in your area.We bringHot and Happening Deals to your Mobile device directly fromMerchants and local business.If you are User : Just download theapp and get all the great deals from you local merchants for freeEach Deal provides you with the deal details, Merchant's Addressand contact details Map the location of the store with the mappingfunctionality Share the deal with friends and family If you are aMerchant : Just download the app and sign up with the requiredinformation for free to start with Post your great deals to theuser community Increase your mobile reach to millions of customersout there Favorites:- Add your favorite stores for quick and easyaccessNearby:- View Stores with Deals closer to youSharing:- Sharethe deals with friends and family with whatever way you like:email, messaging and whatsapp. NexMoney:Innovate The New Ways of Earning AT NexMoney , we believein empowering individuals to rediscover life. Our vision is toshare NexMoney Wallet Achievements with our Associates and NexMoneyfamily at large. Leveraging the Internet to spread the NexMoneyWallet philosophy, we envision of a Healthy & Wealthy life forall. The foundation of NexMoney Wallet has been indeed cementedthrough the unconditional support of our loyal friends who sharethe same values and ethics. We faithfully look ahead with the senseof gratitude and grace. NexMoney is a new breed of organization inthe Business world. As a young entrant here, we strive to explorethe options of strategic alliances with major local Indian playersto explore new possibilities of growth for our ever growingNexMoney family. Drawing from our constant drive to improve andexcel, we intend to create conducive environment by conductingtraining sessions which would provide exposure and hence maximizethe potential of our human resource.We are Supporting Digital Indiawith the vision To grow India digitally ,We also supported Make InIndia as we are purely Indian and exploring our expansionthroughout The World To Show Our Indian Talent world Wide. 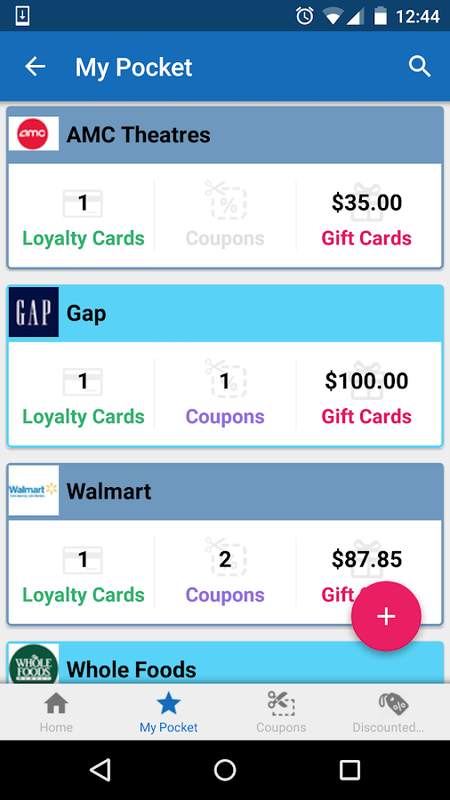 Introducing the simplest and the superfast app to earn you the giftcards, rewards and PayPal Cash for free!Yes, you read that right,gift cards, paypal cash and rewards coming your way for free.Youjust have to complete some easy tasks which mainly comprise ofdownloading an app and you'll be reward with Paypal Cash, iTunesgift cards, Google Play and Amazon gift cards when you earn enoughpoints.Even more, you can share your referral code to your friends,then get unlimited points when friends complete tasks. They get 5points or more, you get 30% of their tasks' reward points.How toearn from GiftWallet:1. 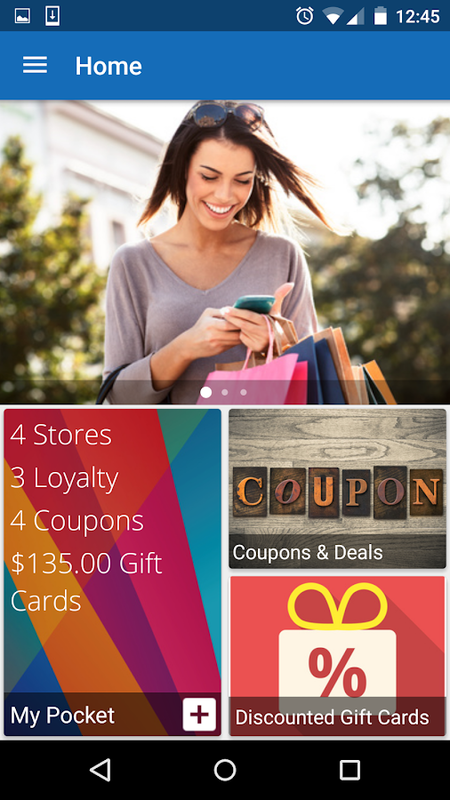 Open GiftWallet and tap "Earn Points".2.Complete offers to earn you points.3. 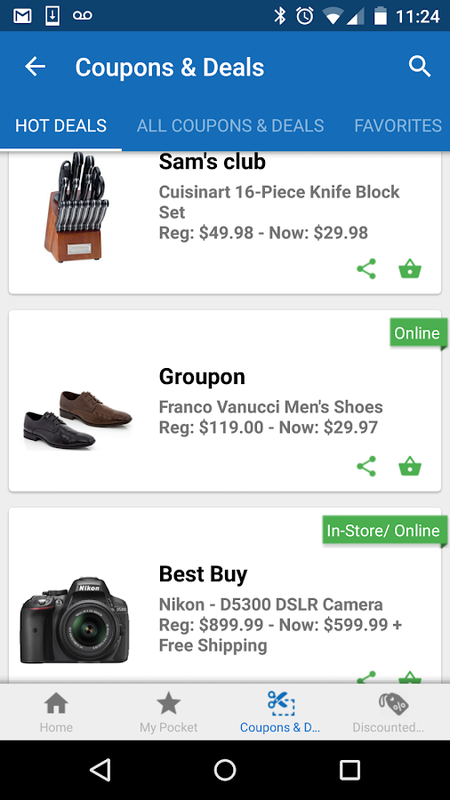 Get a notification when offercash out, tap notifications to see the points in your wallet.4.Click Reward to redeem your points for any reward or gifts.Its assimple as that!Make the most of your free time by earning.Andadding more rewards on your requests. "Steam Wallet" is nowavailable in United States, United Kingdom, German. FLIPPY CARD IS FAST SAVER:- With the camera you can add loyaltycards within seconds.- You can have him ready screen to scan itemsto show in properly equipped stores *.FLIPPY SAVER CARD E 'simpleto use:- No registration, you can begin using immediately afterdownload Flippy Saver tab is not required;- Choose from more than400 cards available:IKEA, Esselunga, Carrefour, Giant, Media World,Nectar, Coop, Conad, Crai, Despar, Sephora, Decathlon, SubwaySubcard, Marcopolo Expert, Payback, Alitalia, OVS, La Feltrinelli,Bennet, Conbipel, Intersport, Passbook, Giunti, Shell, Sidis,Trenitalia, IKEA, Saturn, Prenatal, Being Wellbeing, Expert,Alitalia, Billa, Bennet, CafèNoir, Bottega Verde, Conad, You &Eni, Alitalia, Auchan, Avis, Benetton, Blocco31, Bricofer, Brums,Coin, Decathlon, Despar, Desigual, Dorint, Elite, Esselunga, Esso,Euronics, Famila, Fiorella Rubino, Freddy, GameSpot, hard rock,Iberia, Ikea, KIKO, Libraccio, Marcopolo, PAYBACK, PUPA,PittaRosso, TotalErg, and many other Unieuro ;- Manage your walletcard. *IMPORTANT:Many shops still use the old scanning technologies(eg. Laser scanner or flatbed). These scanners unfortunately cannot read smartphone dispay. In this case, simply ask the cashier tomanually enter the code.Found an error?Send an e-mail to ask forhelp or suggestions for [email protected]'ll try to fix it! Bajaj Finserv Wallet powered by Mobikwik - India’s first integratedDebit and Credit wallet for Fastest Online Recharges and BillPayments, No Cost EMI offers on LED, mobiles and other consumerdurables, Instant Loans, Payments at online and offline merchantsand your own Personal expense Manager exclusively for Bajaj Finservcustomers! Bajaj EMI Network Card With the Bajaj Finserv Walletpowered by Mobikwik you are empowered with our exclusive EMInetwork card which you can use to buy your favorite products on nocost EMI's. Just link you EMI card with you Bajaj Finserv Walletand enjoy seamless transactions at BFL partner stores. It’s simple,it’s easy and it saves time. Get fast and easy loan approvals for“New to Credit” Customers by using consent based SMS data in a safe& secure manner on a range of products ranging from LED TVs,Refrigerators, Washing Machine & Microwaves to Smartphones,Cameras & Watches, Apparels and many more. Shop on no cost EMIat leading e-commerce companies like Flipkart and Amazon with theall new Bajaj Finserv Wallet powered by Mobikwik. Wallet Customersalso have an option to avail instant Credit up to Rs.10000 in 3seconds. Based on SMS transaction history Customers can apply forvarious BFL Loans like Personal loans, Home Loans, Consumer durableloans etc. Expense Manager Track, analyze and set budget for yourexpenses across all payment instruments from your SMS data in asafe & secure manner. 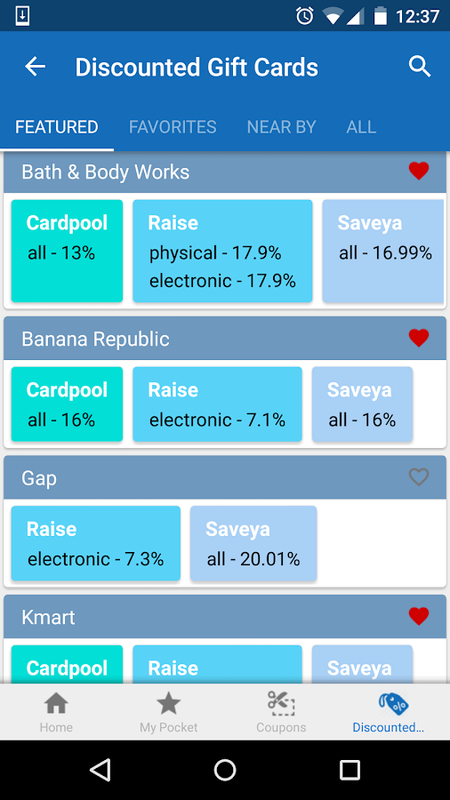 Use this analysis to spend in a prudentmanner using Bajaj Finserv Wallet app. Mobile Recharge & BillPayment Bajaj Finserv Wallet app powered by Mobiwik is the bestmobile recharge app that not only lets you complete your onlinerecharges, but also allows you DTH recharge, bus ticket bookings,IRCTC bookings, prepaid, postpaid, electricity, gas bill payments,insurance payments, broadband, landline and data card billpayments. It is the most secure, simple & fastest way torecharge your mobile phone. Get all Top Ups, SMS, Data (GPRS, 2G,3G & 4G), Local, STD, ISD, Postpaid, Vouchers & Full TalkTime recharge offers. We facilitate Airtel prepaid recharge, Jio,Vodafone online recharge, payments for Idea, BSNL recharge, MTNL,Aircel online recharge, idea prepaid recharge, Tata Docomo GSM,Tata Docomo CDMA, Tata Indicom & Uninor. DTH & Data CardRecharge DTH service providers like Tata Sky recharge, Airtel DTH,dish tv recharge, Reliance Big TV DTH, Videocon D2H & SunDirect DTH Datacard recharges are available for: Tata PhotonReliance Net connect MTS Mblaze Idea Net setter JioFi Pay UtilityBills: Electricity, Gas and Water Go Cashless for electricity, Gas& Water bill payments: Make payments to electricity board: BSESRajdhani BSES Yamuna Reliance Energy Mumbai Tata Power- Delhi andMumbai MSEB Mumbai Chhattisgarh Electricity Board Jaipur VidyutVitran Nigam BEST Uttar Pradesh Power Corp. Ltd- UPPCL Makepayments to Gas bills for: Indraprastha Gas Ltd. Mahanagar Gas Ltd.Gujarat Gas Company Ltd. Adani Gas Sabarmati Gas Make payments towater bills for: Delhi Jal Board Bangalore water supply Ola CabBooking Enjoy the best fares on each Ola ride you take on the BajajFinserv Wallet app. The best place to book rides, be it Ola Prime,Ola Micro, Ola Mini, Ola SUV, Ola Auto, Ola Luxury or Ola Bikes.Bus Booking Book Volvo, AC comfortable bus seats on the go. Findbuses, route information, ticket prices and availability of seats.What’s more: • Traffic challan, loan EMI, metro card recharge,cable TV, insurance & utility bills • Scan and use the QR codeto pay at your local stores or pay for your automobile fuel atnearby petrol pumps • Redeem your PAYBACK points on the BajajFinserv Wallet App. Bajaj Finserv Wallet powered by Mobikwik is apre-paid instrument issued by Mobikwik under co-brandingarrangement with Bajaj Finance Limited, in accordance with theapplicable RBI guidelines. 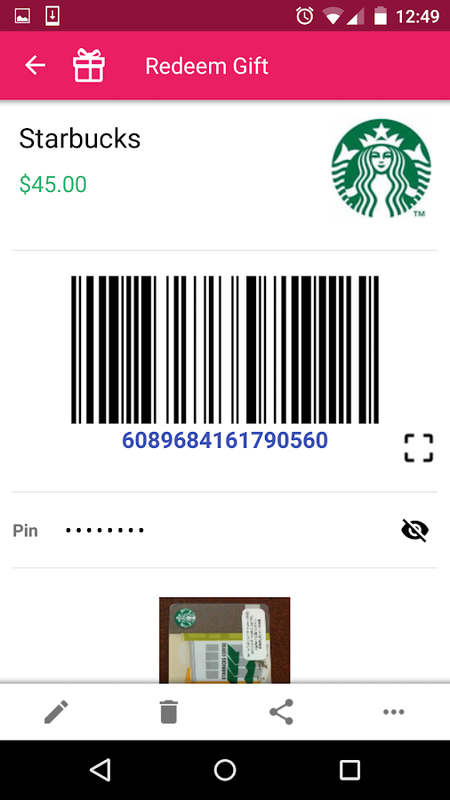 Pass2U Wallet can conveniently collect all of your Passbook / AppleWallet passes in your Android devices, e.g. coupons, event tickets,loyalty cards, stored-value cards, and boarding passes. You canscan barcode containing web link or download .pkpass files to addpasses into Pass2U Wallet. Fully support for the Passbook / AppleWallet pass specification： 1) Collect and manage membership cards,coupons, event tickets, movies tickets, transport cards, and etc.2) Support QR Code, Aztec, PDF417 2D barcodes, and Code 128 1Dbarcode. 3) Show the relevant passes on the lock screen accordingto current location or time. 4) Support for iBeacon. 5) Supportchanging and updating notifications of Passbook. 6) Localization ofpasses in up to 35 languages. 7) Scan/Enter the barcodes on yourcards or tickets to make passes and save them in Pass2U Wallet. 8)Free Pass update API for Passbook issuers. 9) Google Drive backupand restore. We respect User Privacy of Pass2U Wallet. In order tolet you have a good user experience, we need to access belowpermission: ● Identity：Choose Google accounts to backup and restorepasses ● Location：Map and location notification of passes ●Photos/Media/Files：Add pass files of devices to Pass2U Wallet ●Camera：Scan barcodes to add passes to Pass2U Wallet ● Wi-Ficonnection information：When Wi-Fi is connected, and re-register thefailed registration of pass ● Bluetooth connectioninformation：Detect nearby Beacon to display notification of passes● Device ID：Need device IDs to update passes Frequently AskedQuestions. 1.How can I backup all of my passes? You could go tosetting of Pass2U Wallet > tap Backup > Choose the GoogleDrive account. Or Pass2U Wallet will help you automatically backup,while your phone on charging, connecting with Wi-fi, idling withover 24 hours. 2.How can I transfer all of my passes from olddevice to new device? You could backup all of your passes to theGoogle Drive account in the old device. Then go to setting ofPass2U Wallet > tap Restore > Choose the Google Driveaccount. 3. How can I issue a lot of passes? You could go towww.pass2u.net to design the pass what you want and send the passto your customers.